Solid waste is not always an issue we all want to talk about. But now, as the growing concern for the environmental protection is at its highest, we all need to delay throwing our water bottles a bit longer and think what we are doing to our only earth. The amount of greenhouse gases released by a certain product depends on its life cycle. For example, all manufactured products, from plastic cups to automobiles, require energy to produce. This energy is drawn from fossil fuel, which produces greenhouse gases. Even the use of these products can contribute to carbon emissions. The higher demand for products, the more energy it requires to produce them. The more waste we generate, the more waste we need to dispose of. Some methods of waste disposal consume fossil fuel and produce greenhouse gases. For example, wastes that are dumped in landfills release pollutants and known greenhouse gases like carbon dioxide and methane. Incinerating waste also consumes energy. Incineration is the second most used method in disposing waste worldwide. 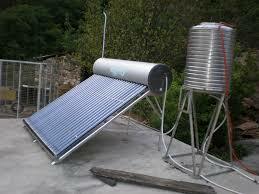 If the method is not very efficient, pollutants from burning mix with the air and can contribute to global warming. Modern incinerating facilities, however, are more sophisticated that they lessen the consumption of fossil fuel to run incinerating machines and reduce the amounts of pollutants the process produces. Consuming less has always been the best way to reduce carbon emission. Reduction of demand for different products eases the burden to our planet as less production means less greenhouse gases emission and less waste to manage. Promoting this can help solve waste problem. Most wastes can be avoided. This is because a large portion of waste we consume are disposable items, mainly plastic water bottles, plastic bags, food containers, and tin cans. The issue whether or not we should still use these disposables has been debated, but we can now see initiatives to reduce the use of such products and go back to using reusable items. We too can help. By simple bringing reusable water bottle help reduce the demand for plastic water bottles, at least one bottle a day. By now, just about every suburban community has a place for their refuse and recycling. All you need to do is to drive down to yours and leave it there so that recycling plants can take over (or have it collected for you, if the service is available). There, you may find a neatly set-up areas for yard-trimmings, plastics, glass, cardboard, paper, tires, oils, toxic wastes, etc so you need to learn how to segregate first. This is actually quite easy to do. You just have to keep different items separated and you are good to go. The best thing about waste segregation is that all recyclables can be used to manufacture new products, which help reduce the demand for harnessing natural resources. Reduce, reuse, recycle… these are just what we have to remember when you seriously want to help in helping our environment and solve global warming. Collectively, we can do something about this pressing issue.